Rising Hegemon : "WHO ATE ALL THE PIES!?" Just wait until the Cricket World Cup with this guy! People will suspect he'll eat the team from Bangladesh! Well, I think we all remember how flummoxed the popular media got when John Kerry went windsurfing or spoke French, or when Barack Obama had orange juice with his breakfast instead of coffee: "Ooooh, ain't he all high-falutin'! So very European. Definitely not a real American, if you know what we mean, and if you don't, we'll tell you." I wonder if Gov. 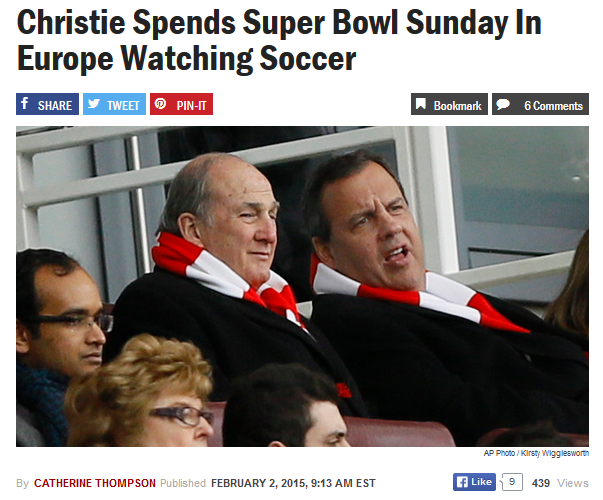 Christie will be subjected to the same silly ridicule? Or is it okay, because he's a Republican, and besides, he hopped around and high-fived with Jerry Jones in the Cowboys' owner's booth? this should be great for iowa.